Looking for some holiday fun this winter season? Well look no further than our very own Midtown Crossing Miracle on Farnam holiday display. 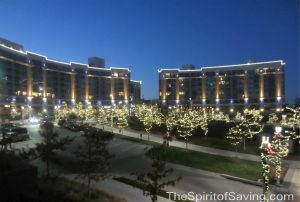 According to their website, “Midtown Crossing presents Miracle on Farnam, a season-long celebration of creativity, good cheer and authentic holiday pleasures. Stroll in the glow of sparkling lights, sip hot chocolate, and enjoy Midtown Crossing’s newest holiday tradition – a parade of dazzling window displays.